A ecosystem is an area with certain boundaries that is composed of interconnected living organisms and non-living factors that inluence them. Abiotic factors can be physical or chemical in nature: water, light, temperature, humidity, availability of chemical elements, wind, etc. Biotic factors are the living components of an ecosystem: relationship between organisms, presence of parasites, etc. Some factors can be limiting: availability of food for certain species can limit the growth of the population in a particular area. Look at these two pictures. 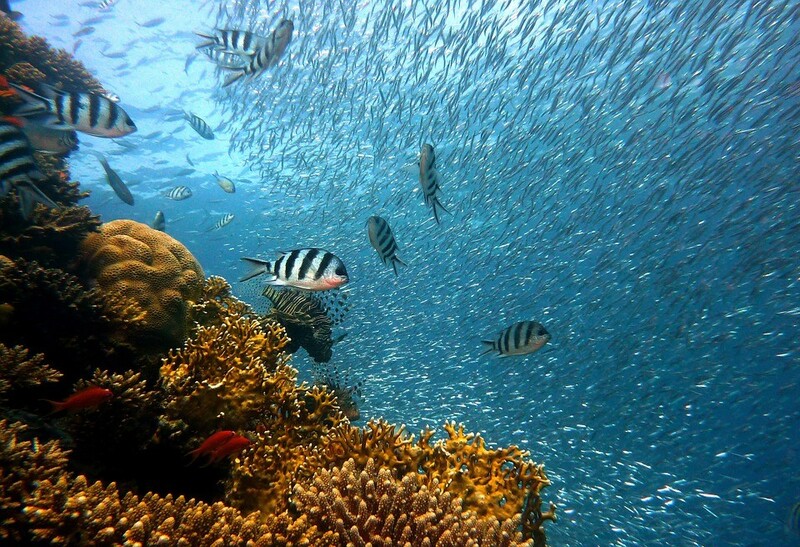 One is a desert, the other – a coral reef teeming with various sea creatures. Both regions can be called ecosystems. An ecosystem is an area within certain boundaries, surrounding all living and non-living entities in it. Anything can be an ecosystem: a puddle, a sea or even your own apartment. But as you can see, you can find more species by diving near the coral reef than walking in the desert. It means that those two ecosystems have different biodiversity levels. Biodiversity is a number of different species of plants, animals and any other kind of life present in a particular ecosystem. And the level of biodiversity depends on various types of factors. Those factors can be divided in two groups: abiotic and biotic. They determine whether various organisms can live, find food and mates in these particular conditions. Essentially, abiotic factors are those that do not have living organisms as a source. Typical examples are temperature, wind or light. Let us look into some of them in detail to understand how they can influence life better. Have you ever had a fever? A human body has a normal temperature of 36, 6°C. When your temperature increases to 38°C, you begin to feel really bad. If the fever is around 40-42 °C – it is extremely dangerous, as your brain, as well as the other organs in your body, can get seriously damaged. The same is true for other living beings. Each organism has an optimal temperature it is comfortable with. When the temperature around it becomes higher than this value, it cannot survive. In the desert we saw in the picture above, the day temperatures are extremely high. In the South or the North Pole, temperatures are far below zero. And in those areas with extreme temperatures, few animals or plants can live and the diversity is low. Those organisms have various adaptations that help them preserve water, protect themselves from the extreme temperatures and get the food available to them in such conditions. Humans can’t really imagine living in constant darkness. The same goes for most plants, as they depend on light energy for photosynthesis. In the deeps of the oceans, caves and soil you can find few photosynthetic organisms. But some animals can still live there, though they are very hard to find. There are multiple microscopic organisms that populate the soil, as well as various insects and even rodents. You can find blind animals in caves and weird deep water fishes that carry their light with them. Even so, it is incomparable with the bustle and bright variety of living beings you can find in the well-lit waters of a coral reef. The presence of light always brings plants with them, and plants provide food for everyone else. 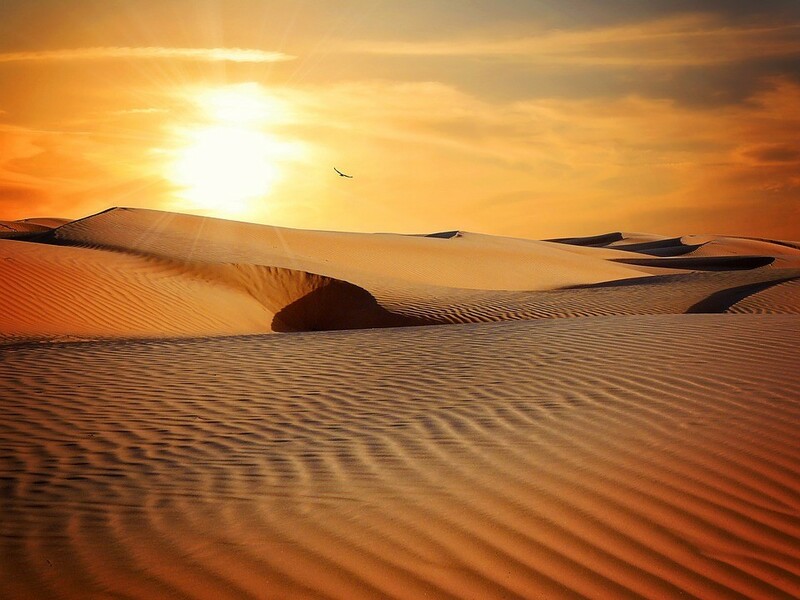 On the other hand, like we have seen with the desert, too much light can also mean higher temperatures and risk of overheating. Light availability is very important, especially to the animals and plants that populate water. But there is another crucial survival factor on land – water. There is a reason why plants have multiple ways to get to the water or preserve it in some way. Water is as essential for photosynthesis as light. Water is also important to animals, though they can evolve ways to get it through plants or store it. In the areas where even the air contains too much water, living organisms confront another problem. It is bad when water is scarce; but too much water can be dangerous, too. Each organism has its own pH to maintain inside the body, and too much water can disrupt that. So the organisms living in humid areas are inventing ways to counteract this. Some plants called epiphytes get their water exclusively from air and do not have roots – they attach themselves to bigger trees instead. Other plants have leaves with drip tips that allow the rain water roll down freely to the ground. Animals are forced to have very effective kidneys and lungs that help them breathe in the humid air and eliminate excess water. Living on land is full of difficult choices and decisions. One of the most important factors of land living is the composition of the soil. Very few organisms can survive on tough rocks. The fertile soil, i.e. the soil where most plants can grow, has a certain pH (in the range between 5,5 and 7) and has to contain various minerals that plants require for growth. If the soil contains too much salt or some important chemical elements are absent, the plants and all organisms depending on them would need to adapt to this change, and we would see other species in this particular area. If you arrive at a place where strong winds are a regular occurrence, you would see plants that look very different to what you are accustomed to. Usually, they grow much closer to the ground, as harsh winds are potentially dangerous. Some plants would also use winds for their own advantage –for example, for spreading seeds. Let us remember again what plants need for photosynthesis: light, water and carbon dioxide. Even if they have plenty of water or sunlight, without carbon dioxide in the air they cannot make their nutrients. In the water, the situation is different. High carbon dioxide concentrations in the seas and oceans make them unlivable for most animals, and it is presently a very big problem. While plants depend on carbon dioxide, animals depend on oxygen for respiration, Low amounts of oxygen in the soil, mountain air and water limit the possibilities of many species to live in such conditions. Animals can’t live or reproduce without food available. So if there is a limited amount of food sources – trees, fish, minerals, or berries – there will be a limited amount of plants and animals that depend on them. That kind of factor is called a limiting factor. Predators eat other organisms Cows can be considered predators for the grass, wolves are predators for the cows. If there are too many wolves that hunt the cow herd, the cows can disappear altogether. If there are too many cows, rabbits or goats in the grasslands, they get destroyed, too. Parasites are organisms that live inside other animals and plants, taking their nutrients for themselves without giving anything in return. They also make their victims ill, for they take too much and often produce toxic substances. Some parasites are so dangerous that the organisms they find a home in can die. Others make their victims less ill, but they become much weaker, often cannot find mates and reproduce. The parasites that are present in a particular area for a long time are usually less dangerous: their victims have developed mechanisms to fight them with time, and the parasites also developed ways to keep their victims alive without getting killed in return. But if a new parasite comes into the area, it is a completely different story. Imagine a new insect gets transported into your garden that eats your crops, or a new bacterium infects your people or your animals. Such a situation can lead to complete devastation. As the parasite is completely new, there is no ready defense against it, and it kills swiftly. That is what happed to aboriginal tribes in the Americas and Australia when they were discovered. Even minor childhood infections of Europeans were deadly for them. When there are several species that eat the same food, they begin to compete for it between themselves. For example, both rabbits and goats eat grass. If one of the species has some advantage – for example, rabbits reproduce more quickly than goats – they can win over the goats. They get to eat all the grass and making the goats go hungry. This problem is connected with the danger of invasive species. If a new species come to an area and happen to be better at getting food there, they can lead to the disappearance of the native ones. For example, rabbits, dogs and cats brought to Australia are a danger for the local animals because they have an advantage over them. By the way – the members of one species can compete for food and mates between themselves, too! You should remember that all those factors do not act separately. They all influence the ecosystems together in different ways. Each ecosystem is a result of interplay between biotic and abiotic factors. There is another group of factors that do not fall into either category: anthropogenic factors. Those are things that are the direct or indirect result of the human activity. Pollution by waste and chemicals, destruction of ecosystems, extensive farming, hunting and fishing all fall into this group. Thankfully, wildlife protection efforts are also anthropogenic and they are more beneficial to our environment.